LCL – Less Than Container Load: LCL shipments are for a given quantity of goods that do not meet the full container minimum. 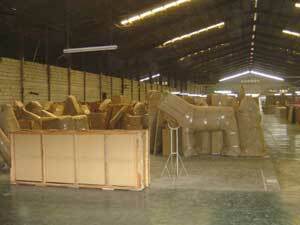 Subsequently, the goods are placed in a wooden crate specifically designed to the size of your order. LCL shipments carry some risk especially for goods that may be considered fragile. LCL shipments are handled more frequently and because of this increased handling we do advise buyers to purchase insurance before shipping to cover against any damage incurred during transit of the goods. Insurance is generally charged at 2% of the total of the goods being shipped. We would be more than happy to arrange insurance for you. 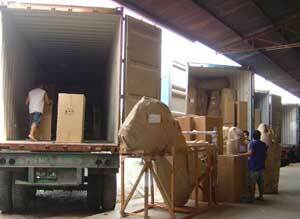 FCL – Full Container Load: FCL Shipments are available in 20ft (33cbm), 40ft (67.3cbm), and 40ft High Cube (64cbm). These containers are subject to considerably less handling as they are loaded in Manila, Philippines and unloaded only at the destination. FCL shipments become considerably more economical than LCL once a shipment exceeds 13cbm. Local clearance charges are per cubic meter or per container. Once that threshold of 13cbm is passed it is often more cost effective to ship with Full Container Loads.